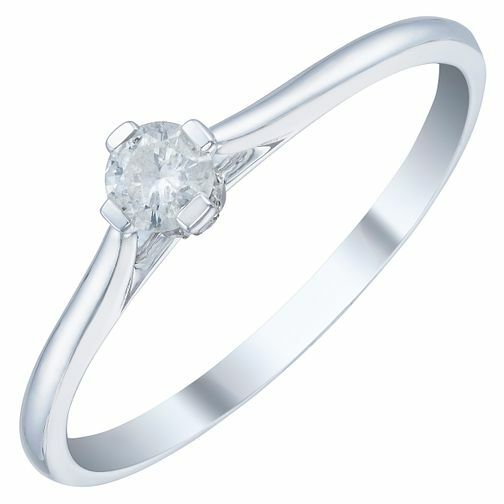 Unique design and modern metal colours combine in this stunning solitaire ring. Set with a single round cut diamond in the head and smaller diamond underneath the crown set in rose gold plated detail, this ring is beautifully distinctively and makes for the perfect sparkling piece of jewellery for any look. This ring has a total diamond weight of 0.15 carat.